My March Last Day Local Post: 1834 Log Schoolhouse, Battle Creek received a comment from Linda: "Are there any records of the students that attended this school?" This is the number one reason researchers should get to know the local history experts in the area. George Livingston is a wealth of information for researchers in Battle Creek. 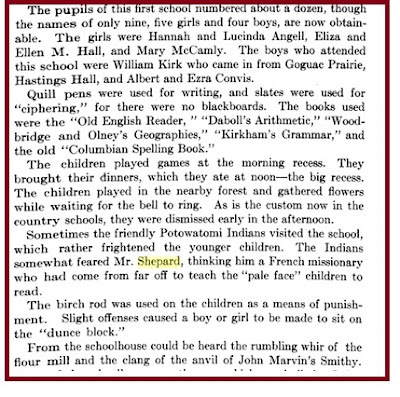 There are nine students that were identified: Hannah and Lucinda Angell, Eliza and Ellen M. Hall, Mary McCamly, William Kirk, Hastings Hall, Albert and Ezra Convis. This may not be the type of information Linda was looking for, but I found it interesting. So far, I have not found any other records for this school. 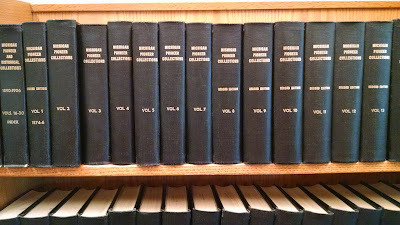 Here are a few tips for using the Michigan Historical Collection volumes, also known as Michigan Pioneer and Historical Collection, online. Go to https://archive.org/stream/michiganindex1to15michuoft#page/228/mode/2up for the index. Enter your search term in the box at the top right. It will take you to the page of the index for the term you searched. Make note of the roman numeral, it is the volume you need, and the page number. There are a few options for viewing the volume. Google books, University of Michigan, and Internet Archive are a few of the options. I use Internet Archive. The volumes are available at Hathi Trust, too. If using Internet Archive, use the full screen icon, four arrows, to the right for a larger view. If using Internet Archive, use the slider at the bottom of the page to find the page number you are looking for. Double check the page number of the book as I found a few that were off. Example: the slider said page 276, but the page was 274. You can use the arrows on the bottom right to go forward or back in the book. 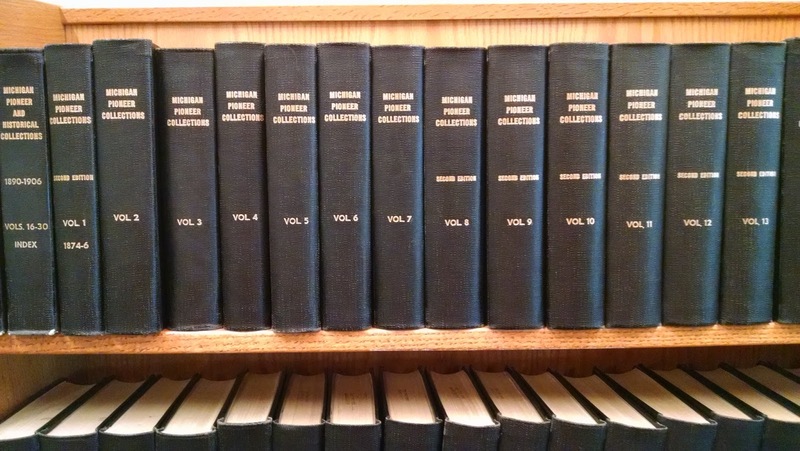 The Michigan Historical Collection contains 40 Volumes of Pure Michigan Gold! The first seven volumes have pioneer reminiscences, biographical sketches, memorials and more. The volumes are rich in history and loaded with people's names. 1915-1929 (Volumes 39-40): Michigan Historical Collections. Lansing : MichiganHistorical Commission. If you want to know more about early Michigan Pioneers and History, or perhaps find a Pioneer ancestor, check this resource out. Highland Cemetery in Ypsilanti, Michigan is a wealth of information for Glover researchers. I was amazed at the number of gravestones I found in one area of the cemetery that had ties to the Glover family. A wonderful map is available here. The Glover and related family member plots can be found in Block 100, Lots 18, 19, 20, 21. They are at the top left along Glacier Way. Natalie C Kisor, nee Glover, was the daughter of Hal Willis Glover and his wife, Annie Overton Crary. She was born in 1901 and died 18 March 1976. She married Lt. Col. Lorenz Kisor on 28 December 1929. She is buried in Highland Cemetery, Block 100, Lot 20, Number 1. Natalie Glover Kisor was active in Ypsilanti Civic Organizations. She was a charter member of the Ypsilanti Historical Society. Why would one visit Indiana if they are preparing to go to New England to conduct research? Why wouldn't one wait until she got there to do New England research? The answer is because the Kalamazoo Valley Genealogical Society(KVGS) was taking a bus trip to the Allen County Public Library's (ACPL) Genealogy Center. KVGS invited my local genealogical society, Calhoun County Genealogical Society and even offered a pick up in Marshall, Michigan. I thought this would be a wonderful way to go to the genealogy center and get a little research done that would save me time when I get to New England. I couldn't see using time at libraries in New England if I could conduct the research closer to home. I figured it would give me time to research items that I don't have access to here. Who were the parents of Daniel Fenn, that was born circa 1789, possibly in Vermont and married Huldah Rowley 28 Feb 1808 in Shoreham, Addison, Vermont? What is the maiden name of Lucy Powers Hyde, who married William Powers? I thought if I just concentrated on these three things I would be focused on my research. Hah! Have you ever been to Allen County's Genealogy Center? It is hard to stay focused. First, you find what you thought you wanted on the shelf and next to it are three more books that look interesting. Next, you find what you want and it takes you in another direction than you thought you would be going. These aren't bad things, they are just bright shiny objects that distract me. I did pretty good, I think. The library has carts that patrons can use to bring multiple books back to the table to look through. 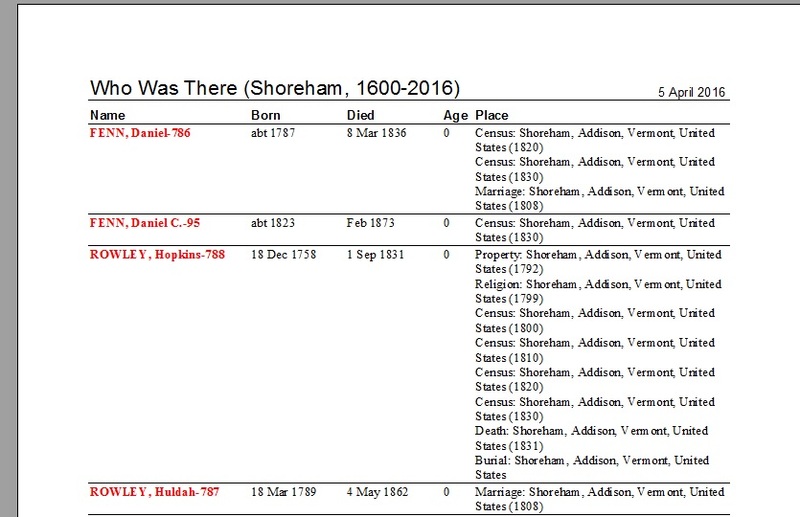 I had a lead that the Fenn family may have come from the Litchfield area of Connecticut and decided to pursue that lead, so the morning was spent with mostly Connecticut records. I had two and a half shelves of the cart full. I looked at early census records and early settlers of CT. I spent a lot of time with the Master Index to Early Connecticut marriages. There are seven volumes of marriages. The problem I have is just looking at one or two surnames. I figure if I have the book in my hands I might as well check other surnames. I had nine surnames in Connecticut to look for and found eight of the nine. 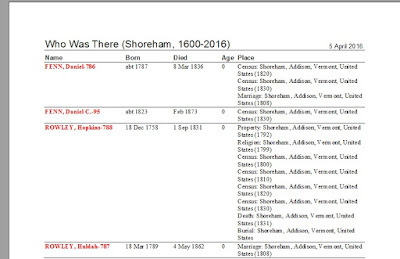 I decided I better stick with the Fenn surname and looked at early Connecticut probate records next. Of course, I found my Rowley family and had to make copies of that. The History of Litchfield, Connecticut looked interesting, but I decided to see if that was available online, which it is, so I just made copies of the Fenn names and pages in the index. Next, I wandered into church records. This was a blind search on my part as I wasn't sure which church they belonged to at the time, but the records were available and I checked. It was a negative search, but at least I know to keep looking. I used my Flip Pal scanner and scanned lots of pages to look at and analyze when I got home. I had gone through my cart and decided to load up a second time. This time I wanted to look at two books that would help me once I got to the New England Historic Genealogical Society library: 1) Manuscripts at the New England Historic Genealogical Society and 2) Guides to Diaries in the R. Stanton Avery Collection, on to the cart they went. Next, I decided to spend some time with Vermont records. Huldah Rowley's father, Hopkins Rowley, was a member of Ethan Allen's Green Mountain Boys, and I thought I would use a few resources to look into that further. Other Vermont records I checked were rosters of soldiers in the war of 1812 for Vermont, Migrations from Vermont, Vermont families in 1791, and probate extracts. I found Daniel Fenn in a few of these, but nothing that furthered my research into his parentage. It was time for lunch! I was back at it after lunch. I decided to shift focus and use the Fold 3 database that is available at the library. I had taken my own computer and could hook into their databases on it. I found information on all four people I was looking for. I can't wait until the Preserve the Pension project uploads the "P" pension files, as William Powers received a pension. I ended the day by looking at periodicals. I had used PERSI before my visit to the library and had a few articles I wanted to find. 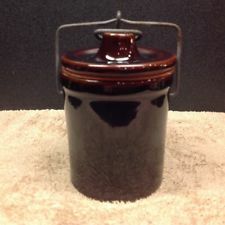 The ones I used were Connecticut Nutmeggar, Colonial Genealogist, Americana, and Connecticut Ancestry. I finished a half hour before the bus was due to pick us up and so I went outside and got some fresh air and waited for the bus. Two carts full of resources, not a bad day. I did miss my research assistant, Kirk, when he goes he gets the materials and I can research. I had more positive searches than negative ones and I think narrowing my research down helped me focus better than I have in the past. I used the report feature in Roots Magic, which helped as well. One of the reports I ran before I went to ACPL was the "Who Was There" report in my Roots Magic software program. The "Who Was There" report is wonderful. It lets you create a list of people who were in a certain place at a certain time. It is found under reports, either all reports or lists. A pop up menu lets you fill in the search parameters that you are looking for. The one above I just put Shoreham in the space for "Find people who may have lived in this place" I used a date range of 1600-2016 for the "On this date (or during this time period)". You can filter by people to include and minimum and maximum age. The report above is an example of what is generated. 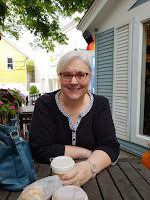 I made reports by state, mainly New England, for my visit to ACPL: Connecticut, Massachusetts, New Hampshire, New York, and Vermont. I figured the reports would come in handy when I go to New England. I am still processing the information that I found at ACPL. Although I wasn't able to answer my two research questions, I found information that helped. I think the clue to Daniel Fenn's parents may lie in Connecticut and Vermont records. I am looking forward to my New England research trip and the information I found at ACPL will help me once I get to New England. ACPL is a wonderful research repository and if you ever have a change to go there, you should. Just don't blame me when you get sidetracked by all the information that is available there. 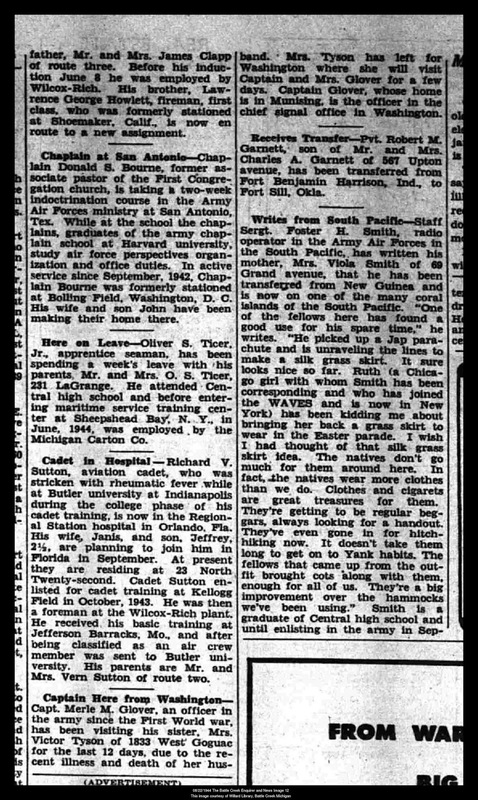 Source: News of our Men in the Services, "Captain Here From Washington", Battle Creek Enquirer, Battle Creek, Calhoun, Michigan, United States, 22 August 1944, page 12; column 3 and 4. During World War II, the Battle Creek Enquirer, Battle Creek, Michigan ran a "News of our Men in the Services" series. It was here that I found news about my Granduncle, Merle McKinley Glover, the son of Frank H. Glover and Hattie Fenn Glover. Merle was in World War I and served during World War II, also. 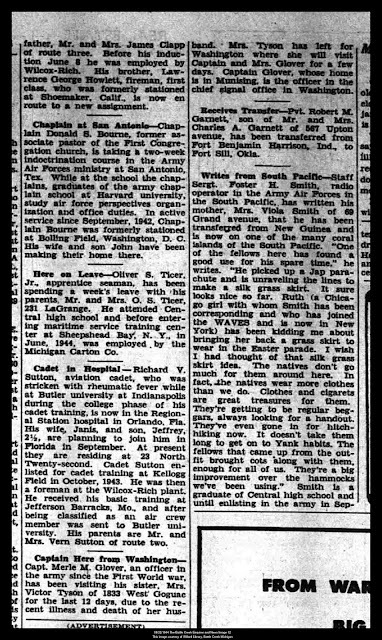 The above article is about his visit to his sister, Adeline Glover Tyson, who lived in Battle Creek at the time. Transcription:Captain Here from WashingtonCapt. Merle M Glover, an officer in the Army since the First World war, has been visiting his sister Mrs. Victor Tyson of 1833 West Goguac for the last 12 days, due to the recent illness and death of her husband. Mrs. Tyson has left for Washington where she will visit Captain and Mrs. Glover for a few days. Captain Glover, whose home is in Munising, is the officer in the chief signal office in Washington. I keep saying I don't have any ancestors in Battle Creek and then I find an article like this. I guess I need to quit saying this. The above article has provided information that will help me research Merle's military history further. My Where in the World series is getting to the point where it is harder to source the census records. Enumeration Districts started with the 1880 United States Federal Census. Some of the early census records don't even have a page number. Eleanor Begole Poor is my third, great grandmother. She was the daughter of Thomas Jefferson Begole and Anna Matelda Nancy Bowles. Anna Matelda Nancy Bowles Begole records have her name as Ann and as Nancy. It makes for interesting research. 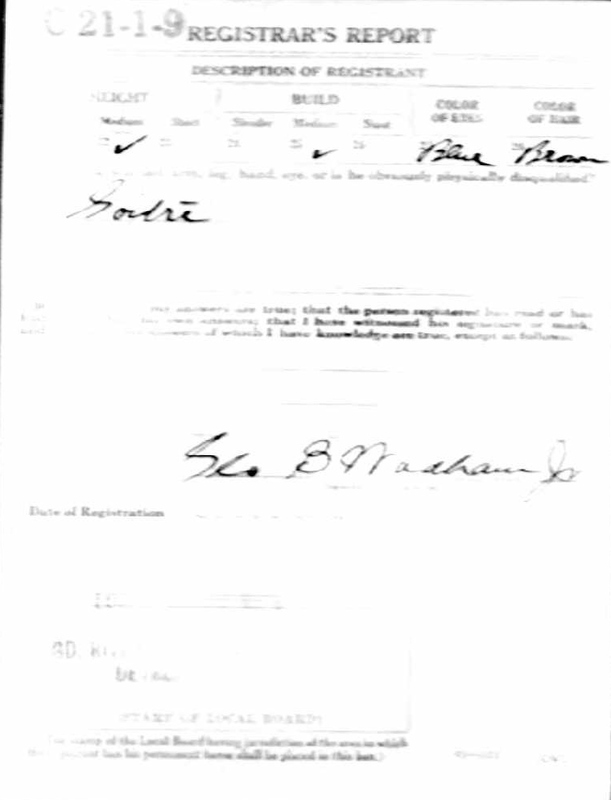 I have a Washington county, Maryland marriage record for Thomas Begole and Nancy Bowles. They were married 21 Nov 1803. Eleanor was born in 1804 and the first mention of Thomas Begole in Steuben county, New York was in 1814. He was listed as an early settler of Wayland, Steuben, New York. Eleanor Begole married Samuel B. Poor around 1822, probably in Steuben County, New York. I have a lot of possibles and probables in my research of Eleanor. Eleanor's birthdate was derived from a date calculator using date of death and age of 43y 5m 15d at death. I have had to use other records to determine the facts for Eleanor. No birth certificates or death certificates to source. Eleanor died young, at the age of 43, and is buried in Vermont Cemetery, Washtenaw county, Michigan. One of the first place family historians search for their ancestors is in the United States Census records. I am compiling my census information into a table format. Each month I share a Where in the World post. Compiling my information this way shows me where I have gaps in my research. The five counties bordered in red make up the counties in the Tri-River Historical Museum Network. Where can one visit twenty six museums or historical societies all in one weekend? 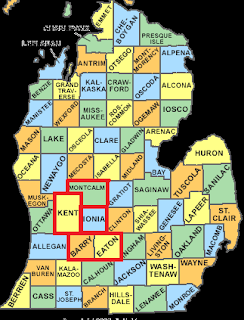 In Barry, Eaton, Ionia, Kent and Montcalm counties, Michigan, that's where! Every year, the Tri-River Historical Museum Network has a "Spring Into the Past" tour. It is held the first weekend in May. The 2016 dates are Saturday, April 30 and Sunday, May 1 from 11:00 am to 5:00 pm. This annual event showcases the wonderful museums and societies that are in their network. The Tri-River Historical Museum Network museums and societies are located along the Flat, Grand, and Thornapple River areas of Western Michigan. The architecture of the various building would be worth the trip alone, but coupled with historical information and displays and it is a Win! Win! The museums and societies are housed in churches, houses and barns, depots, dormitories, schools, town and township halls, parks, masonic temples, Victorian mansions, old stores and more. The 2016 theme, "Quilts-A Stitch in Time", will have some museums displaying quilts. In addition, the Tri-River Historical Museum Network will be kicking off a Tri-River Quilt Trail. 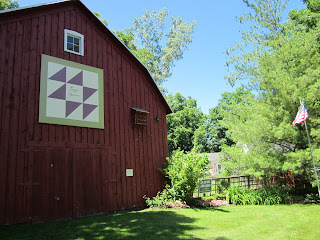 The trail will showcase 43 quilt squares that are mounted on barns, buildings, or posts in the area. A brochure of the quilt locations will be available in the member museums tour weekend. I plan on going, I hope to see you there. There is a lot of history in Pure Michigan and Tri-River Historical Museum network is helping to bring it to you. 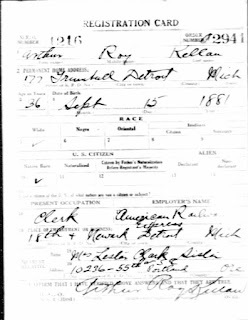 Source: "World War I Draft Registration Cards, 1917-1918," [database on-line], Ancestry.com (www.ancestry.com : accessed 23 June 2014), entry for Arthur Roy Kellan; United States, Selective Service System. Registration State: Michigan; Registration County: Wayne; Roll: 2024110; Draft Board: 9 World War I Selective Service System Draft Registration Cards, 1917-1918. World War I draft registration cards are a wonderful family history resource because of the type of information that is recorded on them. Researchers can find place of residence, birth date, occupation, a signature, physical description and more on these little cards. The card above is for Arthur Roy Kellan, who married Jean Ethel Watt, my grand aunt. He was know by my father as Uncle Art. My father has many fond memories of his Uncle Art. Uncle Art took my father to his first Detroit Tigers game. Arthur Roy Kellan married Jean Ethel Watt on 12 October 1910, Jean died, in 1914, before this card was completed. That is the reason that Kellan used his sister, Leslie Clark, as nearest relative. She was living in Portland, Oregon at the time. Arthur Roy Kellan was born 15 September 1881. He was 36 years old when he completed this card. He lived at 177 Trumbull in Detroit, Michigan, near Detroit Public Library. Today, it is an area with a lot of empty lots. Other information of family history interest includes he was a native born, white male. 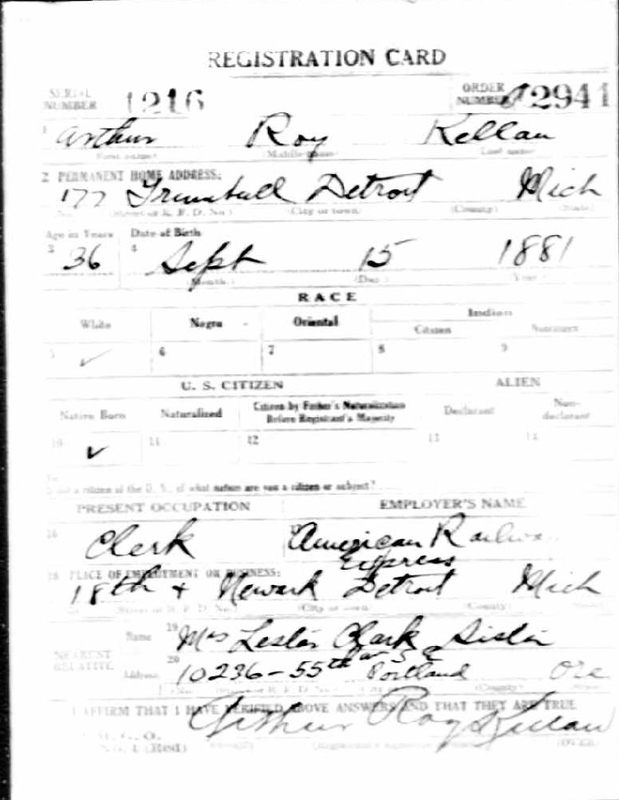 He was employed as a clerk for American Railway Express at 18th and Newark, in Detroit. 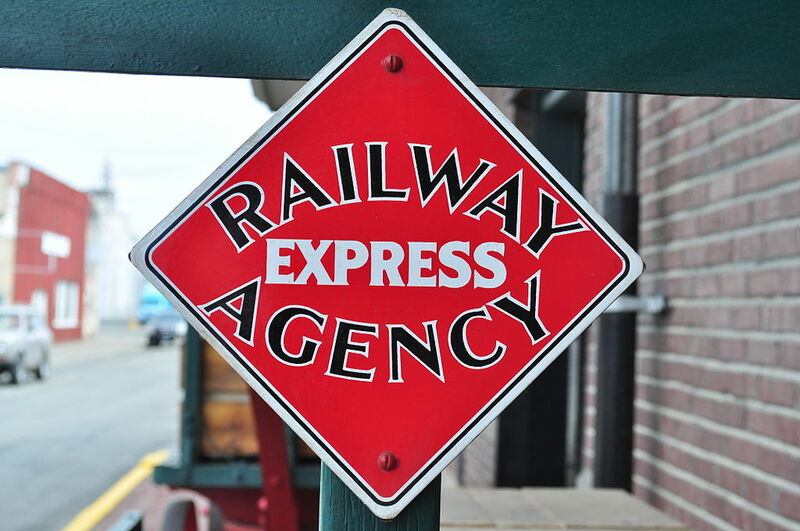 American Railway Express was across from the Michigan Central Railway Station. 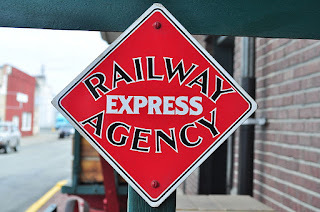 American Railway Express was established by the federal government and provided rail transportation of parcels, much like UPS does today using roads. Arthur Kellan was medium height and medium build. He had blue eyes and brown hair. One distinguishing feature of him was that he had a goiter. 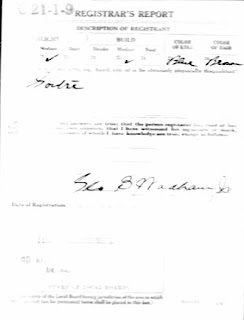 Draft registration cards provide a lot of information that is sought by family history researchers.